It wasn’t a stomach bug, but it had created similar effects. Nausea. 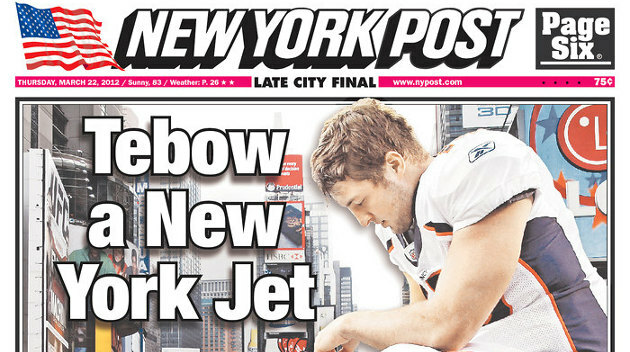 “It” was a conference call Tim Tebow had with reporters following his trade to the New York Jets. He’s so positive. Obnoxiously so. Thanks to everybody (so far) for your feedback from episode 121. In today’s show I’ll begin by reviewing some of the feedback I’ve received. I had show notes (a very rough outline) that I quickly abandoned in today’s show. Time got away from me, as it is wont to do! You have only yourselves to blame though because the show is based on your feedback. Here’s another show you can go back and check out after you listen to today’s show. You may find it helpful. It’s an epiphany episode (and those don’t come around nearly often enough). Yes, I reference Salty Droid in today’s show. If you know “the Droid” then you know part of the subject matter discussed in today’s show. Internet Marketing. I admittedly have a bias in favor of one form of Internet marketing – affiliate marketing. My roots in commission sales likely have a lot to do with it. Just check out my resources page. It represents just a few of the products and services that I’ve used through the years…and found useful. If you trust me, you might consider them useful if they fit a need or desire. If you don’t trust me, then my recommendations have no value. Every act of selling involves earning trust. Unfortunately, some sellers earn trust and they’re not worthy of it because they’re scoundrels. Buyer beware is still very sound advice and unlike our legal system, we ought to assume sellers are guilty of being scoundrels until they prove to us they’re not. If that sounds cynical, well, it is! But that cynicism has helped me live debt-free for much of my life. Thanks for coming by the website to listen and watch. I greatly appreciate it. Your presence moderates my grumpiness and gives me hope that not everybody is an idiot (yeah, I’m looking at YOU).